Today in Masonic History Philander Chase Knox is born in 1853. Philander Chase Knox was an American politician. Knox was born on May 6th, 1853 in Brownsville, Pennsylvania. He attended private schools for his primary education before going on to Mount Union College where he graduated with a Bachelor of Arts in 1872. It was also during his time at Mount Union College that he developed a friendship with future President William McKinley, who was serving as a local district attorney. Knox later attended West Virginia University, College of Law graduating in 1875. It was also in 1875 that Knox was admitted to the bar. He opened a practice in Pittsburgh, Pennsylvania. In 1897 he became the president of the Pennsylvania Bar Association. During this same period he served as the director of two banks, Fifth National Bank of Pittsburgh and the Pittsburgh National Bank of Commerce. He also served as counsel for the Carnegie Steel Company. Knox was a member of the South Fork Fishing and Hunting Club. The club had a clubhouse upriver from Johnstown, Pennsylvania. Near the clubhouse was an earthen dam which was maintained by the club. In 1889 the dam failed and caused the Johnstown Flood. The club quickly formed the Pittsburgh Relief Committee for assistance to the flood victims. They decided not to speak publicly about the flood or the club to guard themselves against lawsuits, which was successful. In 1901, Knox was appointed as the United States Attorney General under McKinley. He served until 1904, into President Theodore Roosevelt's term in office. It was also in 1904 that Knox was appointed to fill a vacant United States Senate seat. He served until 1909, being unsuccessful in his bid to gain the Republican nomination the prior year. In 1909, Knox was appointed as Secretary of State under President William Howard Taft. Initially he was found to be ineligible to serve due to the Ineligibility Clause, which prevents someone who was directly involved in the changing of cabinet member salaries, Knox campaigned for an increase in salary for cabinet members while in the Senate and voted to approve the bill. There was debate about the issue and a compromise was reached that Knox would receive the previous salary, two thirds of the new salary, while he was Secretary of State. In 1916, Knox was elected back to the United States Senate, this time by popular vote under the Seventeenth Amendment. 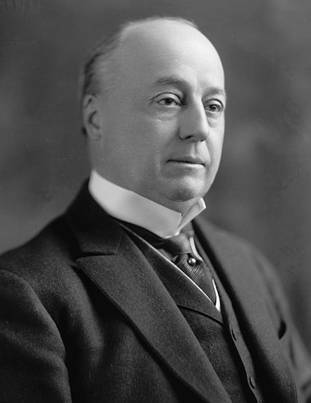 Knox served in the United States Senate until the time of his passing on October 12th, 1921. Knox was a member of Fellowship Lodge No. 679 in Pittsburgh, Pennsylvania.